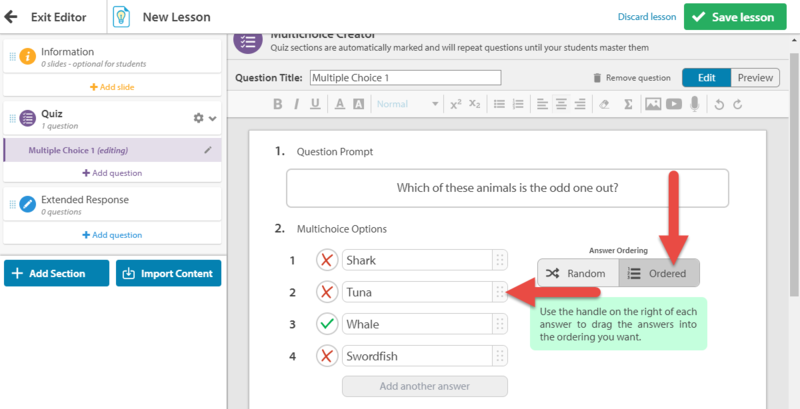 Multi-choice questions are a great way to quickly test students' understanding of topics. They are automatically marked with instant feedback. Begin in the Content Library and ensure that you're in Edit mode by clicking on the Edit button at the top right. 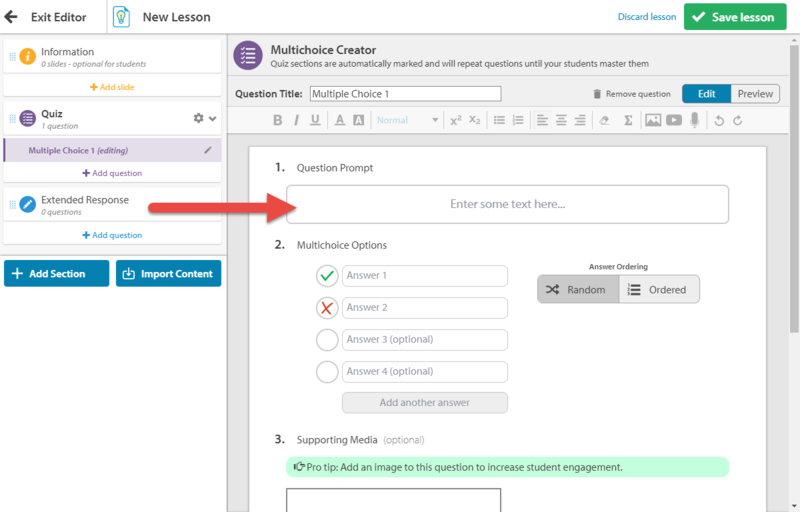 Select Add Content, and then select Smart Lesson. 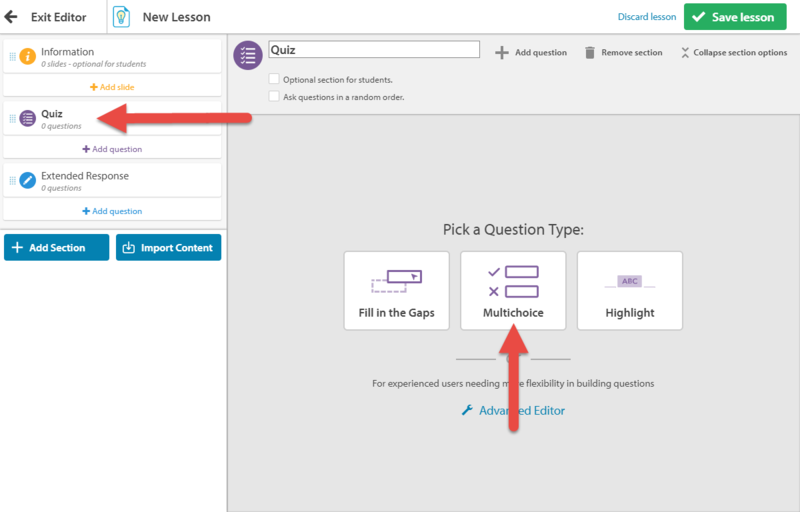 Select an existing Quiz section, or add a new Quiz section to your Smart Lesson, then select Multichoice from the listed question types. Type the question text in the Question Prompt box. Type your answers into the Multichoice Options boxes. By default you can add up to four answers. To add more, click Add Another Answer. To designate the correct answer, select the red cross next to it. This will change the icon to a green check mark. The answers will be ordered randomly by default. If you'd like to change this, click on the Ordered button. 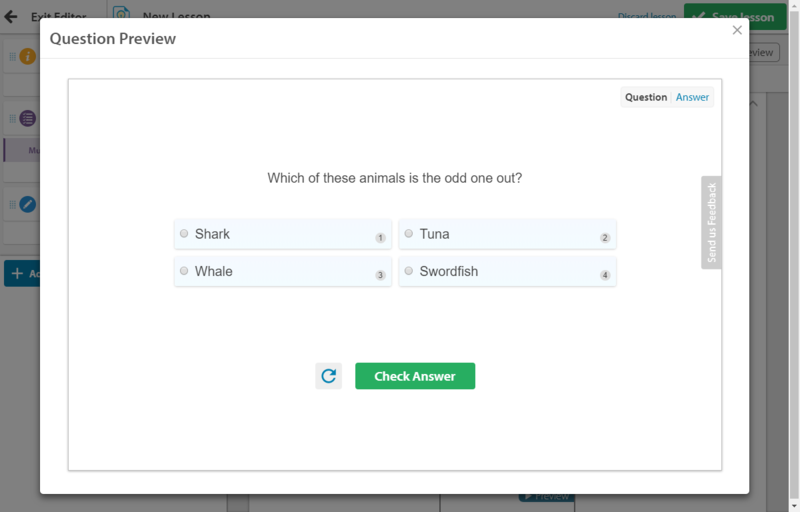 Then simply click on the handle to the right of the question and drag the questions into the desired position. At least one answer must be correct, but a question can also have multiple correct answers. As with Information Slides, you can insert various types of supporting media to your quiz question. Select the type of Media you'd like to add to the question. You can then search for media using the search bar, or upload media from your device. You can also pick an image from Education Perfect's Suggested Images gallery. If students incorrectly answers the question, they will be shown the correct answer automatically. 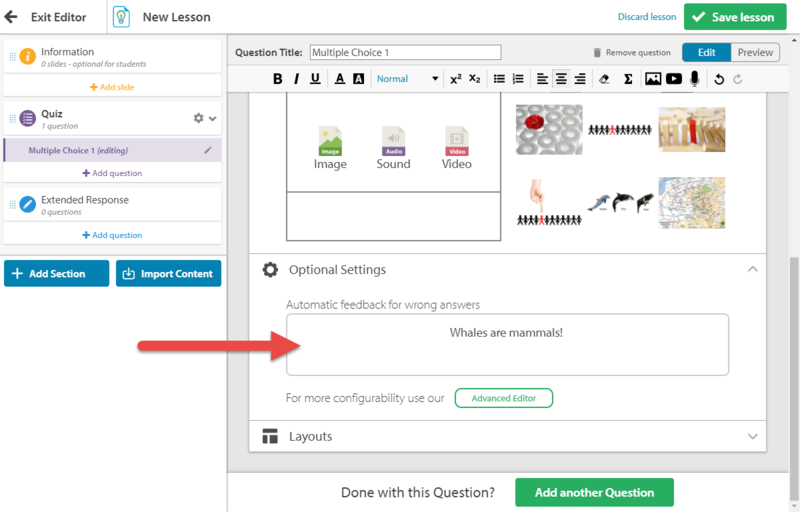 You can provide additional information about the correct answer by writing something in the box labelled Automatic feedback for wrong answers. 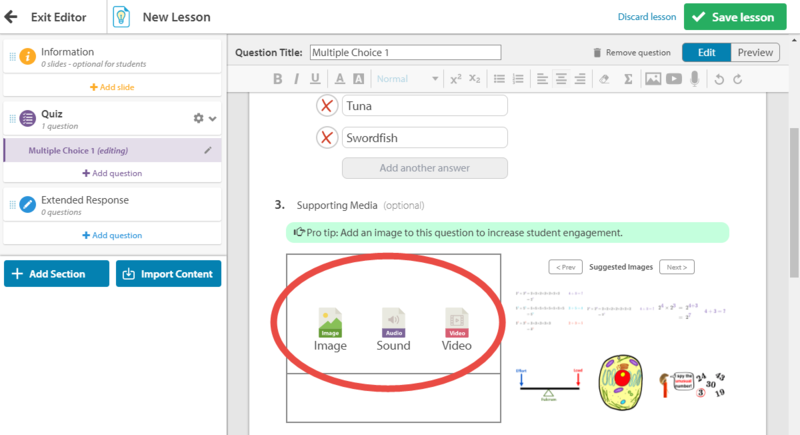 Anything that you write in the text box at the bottom of the page will be displayed to students once they complete a question, along with the correct answers. Select a layout from the Layouts section. 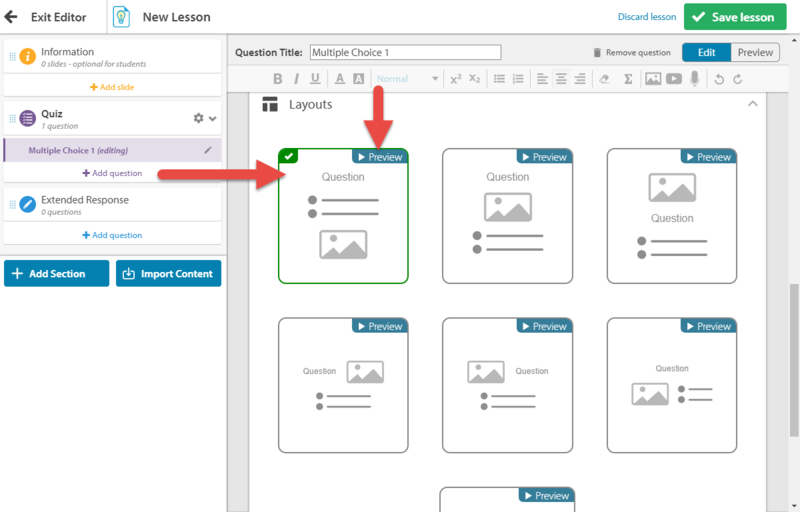 Click on preview to see what your question will look like with the chosen layout. 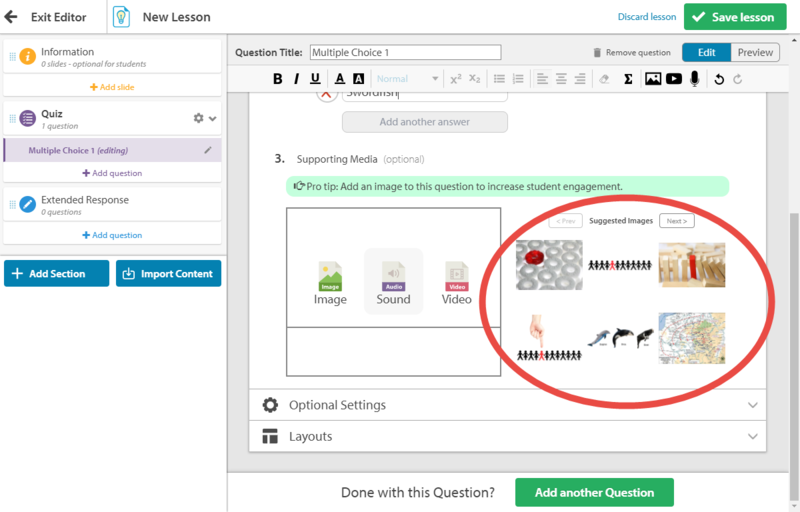 Click Add Another Question to move on to the next question, or Save Lesson at the top of the page.